There’s nothing like taking your sportsboat out for a day on the water. When you’re using it as a way to tow someone behind it, you need to be very careful not to create a potentially hazardous situation for you, your riders, or anyone in the water nearby. The thing about safety is that it’s something that is so easy to implement even if not everyone automatically thinks to do so. But we’re not talking about carrying spare marine batteries on board here. This is about remembering to take necessary precautions the next time you’re using the boat for tow sports and these four simple safety tips will make sure that everyone has a great time out there. 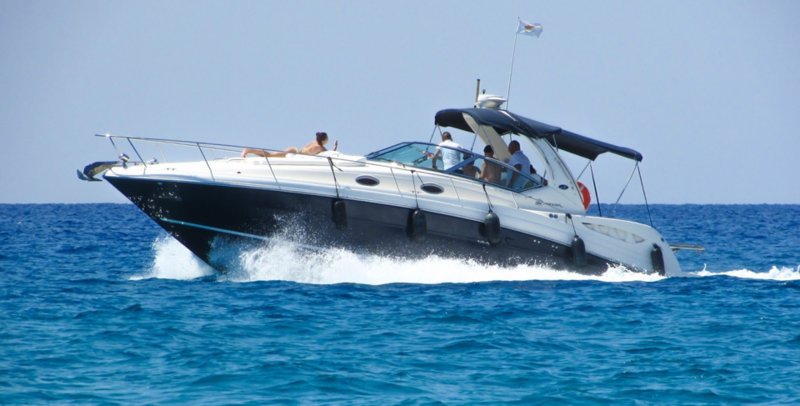 The way you accelerate can have a tremendous impact on the person you are towing behind the boat. That’s why it’s absolutely imperative you remain mindful of how you engage the throttle as you speed up and slow down. Acceleration is the driving force, so to speak, behind every tow sport. Always keep in mind that you have another human being attached to the rear of the boat, whether they’re on an inner tube, a set of skis, or a board. As long as you remember that whatever you do with the boat can have an effect on the individual you’re towing, then you can take steps to provide for their safety at all times. With that said, always take a gradual and easy approach to the acceleration rates of your boat. Never throttle forward off the line going from dead stop to a dead sprint. That can cause the rope to get torn from your rider’s hands and cause potential injury. If you take the slow and steady approach to your acceleration, then you can ensure that the person you are towing can be kept safe and secure. You don’t ever want to gun the throttle unnecessarily and you should always be conscious of your speed limits. The latter is something you must always remain aware of anytime you get behind the wheel, just like you would driving a motor vehicle on the road or highway. But when you are participating in high speed tow sports, your rate of acceleration is just as important as how fast your boat is traveling. Even more imperative to keep in mind is the idea that certain types of sports and riders will call for corresponding appropriate speeds. Boaters must always protect the safety of beginners and first-timers by taking it slow, in order to give them time to adjust and acclimate to traveling on the surface of the water. This is true no matter what your rider is traveling on behind your boat. For towing the more experienced riders you’ll find that certain sports will require certain speeds in order to maintain their pace correctly. Everyone enjoys going fast when they’re trying to enjoy their favorite tow sport. However, the speed you go when you are towing someone on an inner tube might be a little slower than when you tow someone on a wakeboard or a set of skis. That’s because the latter two require acceleration in order to keep them balanced on the water. Riding an inner tube is a passive activity while skiing or wakeboarding are more proactive by comparison. Besides, if you tow an inner tube too fast, its liable to jump the wake being left by the boat and potentially flip, dumping your rider right into the drink. You must always remember that there is a living human being attached to the back of your boat and it’s critical that you ensure they don’t make contact with any objects in and around the water. 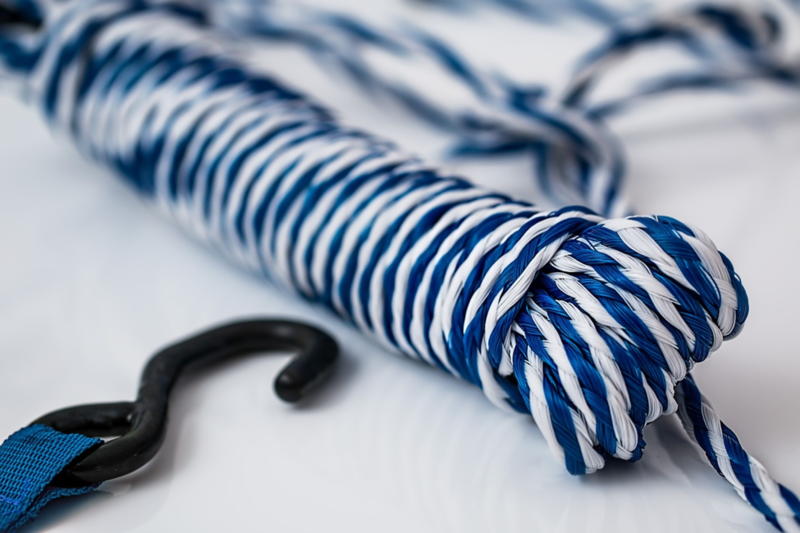 Tow ropes come in a variety of lengths, each one appropriate for specific tow sports. Tubers are attached to shorter lines than those being used for skiers or wakeboarders. Whichever size you tie to the back of your boat, you must always account for that length in determining the proper safe distance to avoid colliding with docks, buoys, channel markers, and the various other hazards that can prove dangerous for your rider. The proper safe distance isn’t just about ensuring that you don’t run your rider into the surrounding environment while that person is upright. You must also consider how far that person will travel when they are thrown off the thing they are riding as well. The speed of the boat will equal some considerable velocity as the rider’s body continues traveling once they’ve been ejected from their tube or lost the tow rope on a pair of skis. It’s a good idea to set a routine in place with your rider in the event they do lose touch with the boat and are thrown from their tube or get knocked over on their skis or board. Go over that routine with your rider, practice it, and don’t deviate from it when the time comes to retrieve your rider. Always be sure motors and moving parts are kept away from the individual in the water and don’t overwhelm them with your boat’s wake. Above all, go slow as you approach, if you come in too fast you run the risk of hitting them by mistake.